When her best friend is murdered, Julie O’Hara, a body language expert, packs up her suspicion and flies to Boston for his funeral. 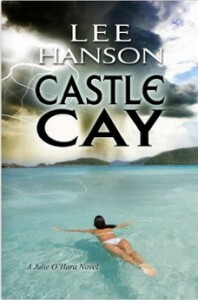 Who could have killed rising artist Marc Solomon, and what does Castle Cay, the Solomon’s mysterious Caribbean island, have to do with it? Before long, Julie’s sixth-sense pulls a hidden string that unravels a deadly conspiracy…and her own troubled past.